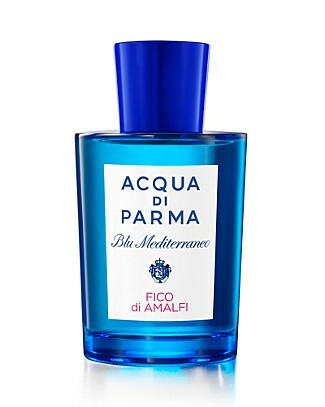 Since it was so hot, I thought I would pull out a fragrance from my husband’s collection, Fico di Amalfi from the Blue Mediterraneo line from Acqua di Parma. He received this as a gift last year and I have never really worn it myself. All that I can say is that the first time he wore it, it immediately took me back to our trip to Aruba last fall. Fico di Amalfi is tropical without being beachy, fruity without being too sweet and perfect for a hot summer day. Fico di Amalfi goes on with zing. It’s really fresh and cool, with bursts of citrus and grapefruit. 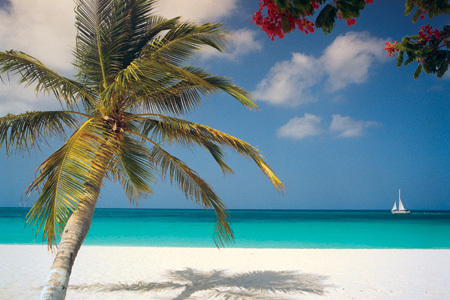 It’s also very zesty, like fruit that has just come off of ice or even better, a crushed ice fruit cocktail served on the beach. The opening notes are pure happiness! After a little while that zesty freshness disappears and a light pepper musk comes to the surface. And then the fig. You are left with the fig, which is green and woody and oh so slightly fruity. It’s calming and fresh and a bit creamy and very comfortable. Fico di Amalfi would be perfect for walking around in a t-shirt and flip-flops to putting on your best linen outfit for a night out on a town. My one disappointment with this fragrance is that late in the drydown, the scent you are left with reminds me a bit of Tide laundry detergent, but it’s not that significant to stand in my way of wearing it. However, I have to admit, I like smelling this on my husband more than on my self. Fico di Amalfi is a beautiful fragrance that takes you on a mini-vacation from your everyday life. OK, so it’s not as a good as the real thing, but I’ll take it in the meantime. bergamot, lemon, grapefruit, citron, fig nectar, pink pepper, jasmine petals, fig wood, cedar wood and benzoin. Categories: Acqua di Parma | Tags: 4 bones, Acqua di Parma, citrus, Fico di Amalfi, fragrance, fresh, fruity, review, unisex | Permalink.